Hadra Records present to you the début album from Sysyphe aka Philip Contamin. Taking his inspiration from the Greek mythology of Sisyphos (in French “Sisyphe”), Philip has merged gothic influences with the world of psychedelic ambient. Through the careful union of an unctuous dub background, vaporous ambient music and psychedelic melodies, the Producer takes us to the undergrowth of a deep forest. The listener is transported among trees as tall as organic cathedrals, in a place lit by a large full moon, half way between shadow and light. If you listen carefully you will hear the murmur of witches talking about love and nature; you will enter the gates to a world of vibrations, where everything breathes. Track after track, this album invites you to embark on a trip through sounds. It is an escape from everyday life, away from the “hill” that Sysyphe must eternally climb. Sysyphe’s album “Running Up That Hill” is a journey in progress, a quest for space. Vince le Barde, aka Electrypnose, is probably best known as a top dark trance producer. But Suntrip wants to show, like others did before, that he is a super talented artist, who loves to explore other types of electronic music as well! 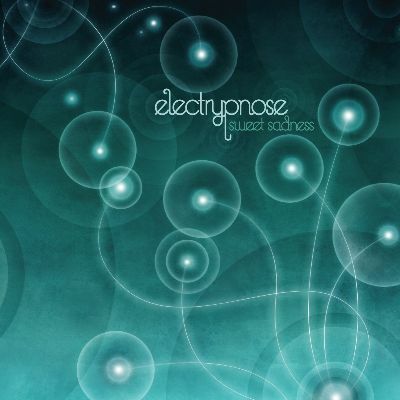 As a result we offer “Sweet Sadness”, the second ambient album by Electrypnose! The first one, “Subliminal Melancholies”, was released in 2006 and got superb feedback. This sequel gives us more sensitive soundscapes, piano-led melodies, sinister atmospheres and atypical rhythms! “Sweet Sadness” is a vastly diverse album. Naturally some tracks are very chilled, almost rhythmless, while others give way to more traditional Ambient. Then Vince goes forth in his explorations to modern classical music and even electro-influenced downtempo! What makes all these tracks so unique is Electrypnose’s ability to create music with a soul... Thanks to that, his music is perfect to lay down and dream away... Will you join us? Vince le Barde, aka Electrypnose, is probably best known as a top dark trance producer. Kaj brijete, to nije dark, to je istancani inteligentni neuro nocni fullon. Definitivno naginju modernom alternative/indie rock zvuku. Coldplay live je brijem super, ovo mi bas i ne zvuci tak. bar se iza nas na ozori neki lik nije derao CHEESE!! Bring back the old stuff!! CHEESE!! stalno. neznam, ja bi najradje da zadrze oba stila, i vokalni rockish ribbon on a branch i tvrđi finger/crumblenaut zvuk, al bojim se da ce s obzirom na sto sam cuo dosad novi album bit uglavnom ovo prvo....sto me nece sprijecit da uzivam u njemu, dapace, al ono, bilo bi steta da se druga strana izgubi. Pa poprilicno je izgubila vec drugim albumom koji je meni osobno tu negdje s Flockom. Za ovaj novi ne znam sto bi rekao, zvuci zanimljivo ali previse mi naginje na nekakav indie rock zvuk da bi sada nesto pretjerano uzivao. Iskren da budem, vise nade polazem u novi Prometheus album, semplovi zvuce ful zanimljivo.